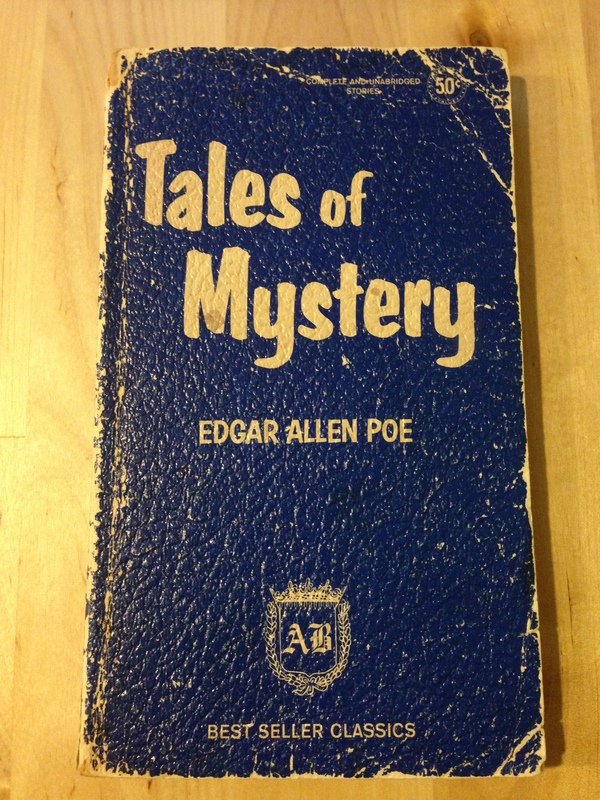 Throughout middle school, high school, and then college, I read and re-read an old hand-me-down copy of the Edgar Allen Poe collection Tales of Mystery a number of times. I loved this book so much that I made my college band name a song after one of its stories. Seriously. Like a lot of teenagers, I loved Poe. He and his work were dark and creepy and fascinating. And though it’s been a long time since I read him, when I recently sat down to read Henry James’ The Turn of the Screw, I was immediately reminded of my many hours in Poe’s gothic worlds. The story of a governess, the children in her care, and the ghosts that may or may not be haunting them, The Turn of the Screw, like a lot of Poe’s stories, features an unreliable narrator and a horror that is far more mental and emotional than physical. The book’s nested narrative sets up a story of haunting, yes, but who is haunting whom exactly? Um…everyone is haunting everyone, I guess? The ambiguity of The Turn of the Screw is likely to infuriate a large portion of modern audiences who don’t take to kindly to open endings (scroll down to the Inception entry here for a great example). And yet it’s that ambiguity that makes the book so interesting. As ghostly appearances flit by, the reader can never be sure who has gone mad, the narrator obsessed with these apparitions or the other characters who seem so innocent of them? It’s a similar sentiment of imperfect proof that drives The Turn of the Screw. The book draws to a sudden and final conclusion that only reinforces how little we know. Which is, of course, the point. There are few horrors greater than the horror of the unknown and James has shown us that we – the reader, the narrator, all of us – know so very, very little. The Turn of the Screw is rightfully celebrated as one of literature’s great ghost stories. Poe would have been proud of this book, teenage me (had he read it at all) would have read it over and over and over again, and adult me is happy to slide it alongside Tales of Mystery on the shelf.